Kay Culverson, a low-budget cable talk show host and diva extraordinaire, is found dead in her office after alienating not only Jamie's boss, Howard Dennis, but also her own agent and every employee in the studio. When Howard falls under suspicion, his wife asks Jamie to investigate. 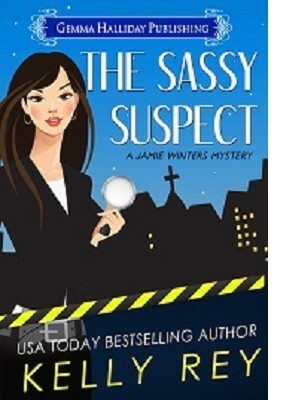 While she's not exactly excited at the prospect of solving another murder, Jamie isn't thrilled with the idea of losing her job, either. So with the help of her hot landlord Curt and Curt's feisty teen niece Maizy, Jamie's on the case. But she soon finds herself dealing with a whole cast of suspects, including a shady agent, a group of anti-government geeks, a light-fingered ex-con, and a mysterious hitman for hire named Z. It couldn't possibly get any worse...until it does. And suddenly Jamie wonders if this next case may be her last.